Welcome back to Emily's Anthology, everyone! I am kicking the week off with a nail post - since I hardly ever do these. Long gone are the days when a few coats of simple nail polish were enough to make your hands look their best. 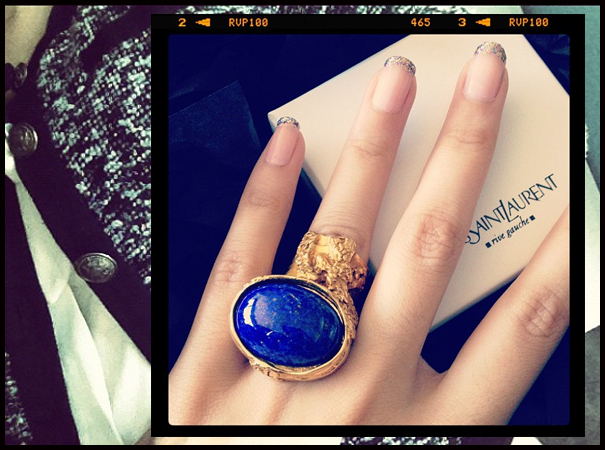 From glitter to strass, shellacking to degrade – today there’s a whole world of nail art at your disposal. Our hands offer an excellent canvas for people to express their inner artist, particularly for creative personalities looking to show off their designs. And what better occasion to show off your beautiful nails than on a first date? Wherever you’re based in Australia – whether Melbourne or Sydney – great dating opportunities abound. There is a lot to love about Melbourne and Sydney, and you can discover new places together, with a bit of nail art prep only adding to your allure. Wherever you go for your date, make sure your nails are in tip-top condition, ready to wow your new guy, with these four nail art designs. You could also try a more modern take on the classic french manicure - by using glitter polish instead of white! Now it might not be the most outgoing of nail designs – in fact it’s possibly one of the oldest and best-known nail styles around – but at the end of the day, it’s a tried and tested method. If you aren’t the most girly of girls, but still want to make the effort of having your nails done, this is a feminine and flattering nail design that’s sure to impress on any date. If you’re a fan of your bling, strass nail designs will let you glitz and glam your nails to your heart’s content. You can choose a stone design that matches your outfit, or perhaps co-ordinate with the other gemstones in your jewellery. If it’s a first date and you’re unsure of how much he likes glittery styles, maybe stick to a tasteful, simple gemstone in each finger, rather than diamonds encasing the entire nail! The Kiss Nail strips (pictured above) retail at AUD 13.99 per pack of 28 strips. This is the perfect nail art for anyone heading on an outdoors date, like rock climbing or hiking. Shellac nail polish is much stronger than traditional polish and won’t chip during physical activity or sport. This means you can get stuck in on a first date, without worrying about damaging your nails. Degrade nail art offers a happy medium for people who like to be creative with their nail designs, without going over the top. It’s often a two-tone or faded effect on the nail. It can change between two colours gradually, or simply go from a darker shade of one colour right through to light. It can be styled in a feminine and delicate shade, or you can use it to create an edgier look, depending on which colour you use. 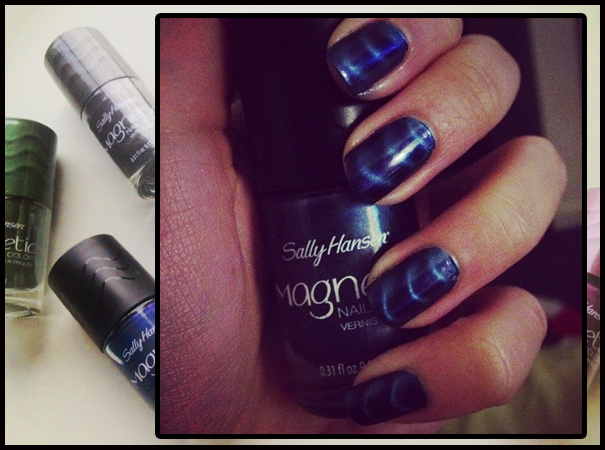 An equally gorgeous (but infinitely easier to do) alternative to degrade nail art is the Sally Hansen Magnetic Nail Color. These nail polishes come with a magnetic cap that you can use to create a gorgeous wave design on your nails, all in a matter of minutes. Just apply a first coat and let it dry, then apply a second coat and place the magnetic cap over your nail, and voila! Instant nail art. These beauties retail at AUD 16.95 per bottle at selected pharmacies and supermarkets. If it’s a first date, don’t go overboard, but by all means indulge your creative side. If you're looking for a few helpful tips and online dating advice and information, check this site out. This post contains a sponsored link, and was written in accordance with this site's Disclosure Policy.